Compare sizes of iPhones 4S, 5S and 6 - Beato Enterprises Inc. I ordered my iPhone 6 last week from Verizon’s website. It was delivered today, September 19, 2014, via FedEx. 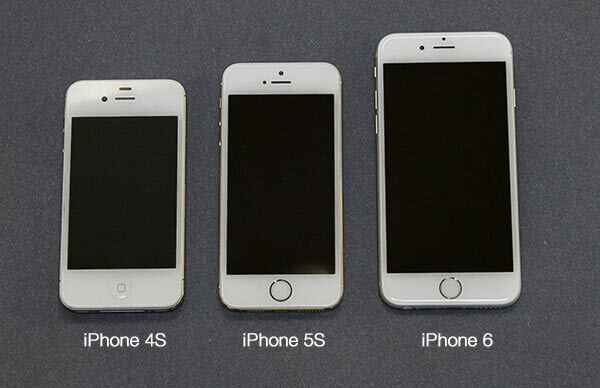 Here’s a size comparison between the iPhone 4S, iPhone 5S and the new iPhone 6 (not the Plus).